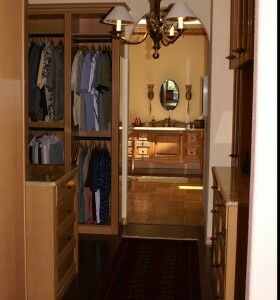 Our Walk In Closets offer a variety of styles and materials to meet your every need. Whether you want floor mount, wall mount, backs, crown molding, raised panel or simple rods and shelves we can make your closet your dream space. 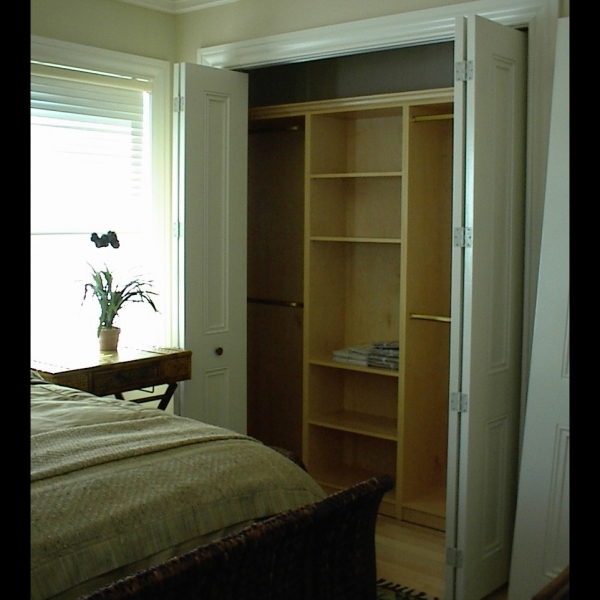 Our closets can be built of melamine, UV wood or a combination of both. Our reach in closets are carefully designed to take advantage of every bit of space.